Beautiful, thoughtful funeral flowers by The Blossom Shop in Woodford Halse. Ali and her team at The Blossom Shop have been delivering flowers for many years in Daventry. 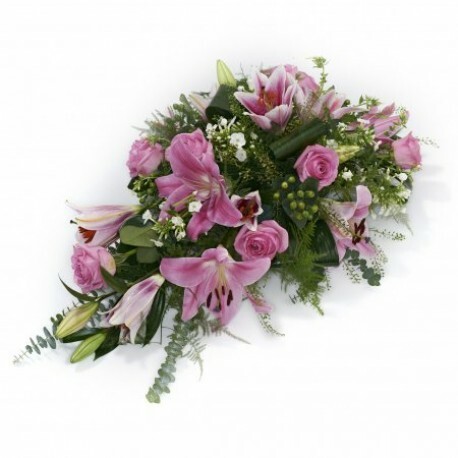 During this time they have built a wonderful reputation for stunning fresh flowers and super service. 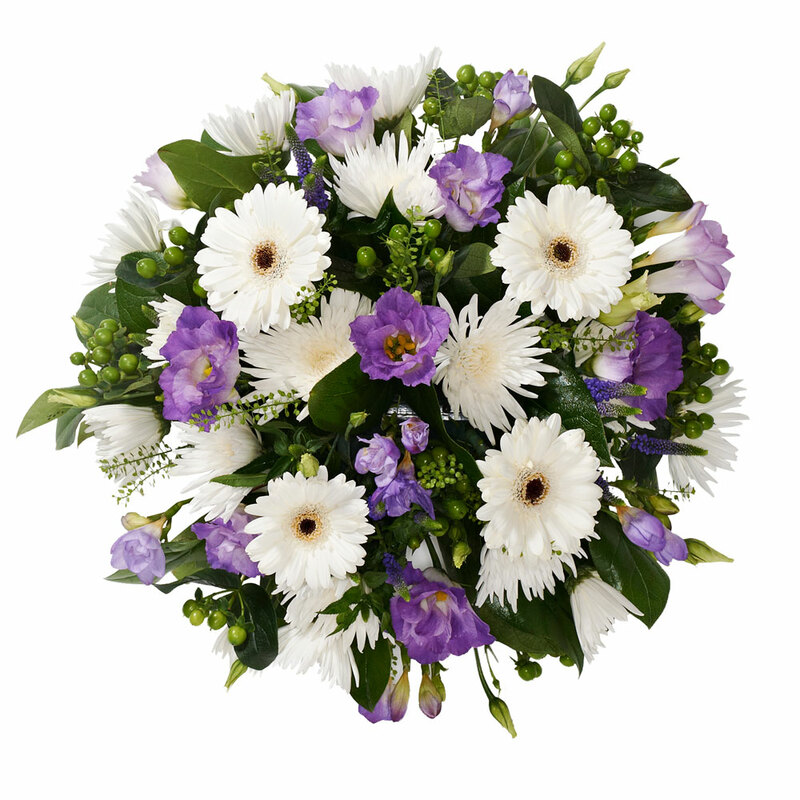 If you need funeral flowers you can be sure of caring service with attention to detail. Call 01327 262336 or order online from here. 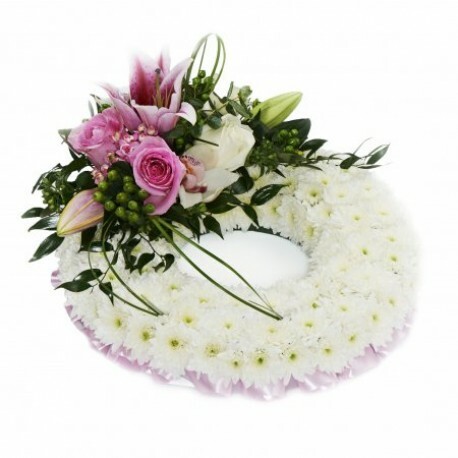 Here at The Blossom Shop we understand how hard it is to lose someone close; we also understand how difficult it can be to choose the right flowers for a funeral. Whether you are family or friends of the deceased, we can help by visiting you at home to discuss and show you ideas. 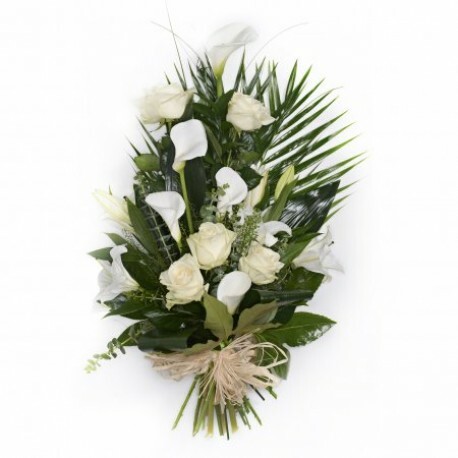 From traditional coffin sprays to contemporary arrangements, we can do them all. If your loved one had a particular interest we can create something to reflect this. Have a look at our gallery for things we have done before but don't be afraid to pick up the phone and ask for a home visit or come into the shop. We also offer cups of tea, tissues and even hugs! Traditional double ended spray in oasis - can be made in your choice of colours. 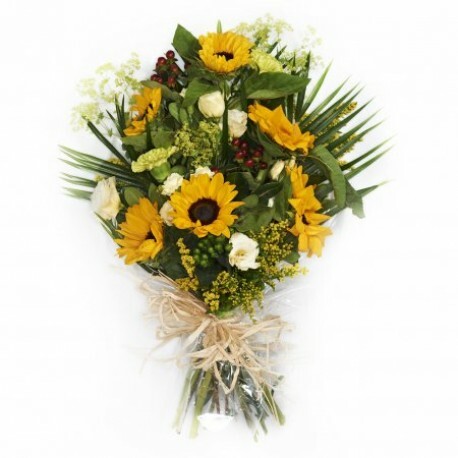 At The Blossom Shop we are delighted to present this product available for flower delivery in Woodford Halse and Daventry Area and surrounding areas. Sometimes you may want to put flowers on a grave or other special place as an act of remembrance on a birthday or anniversary. We can create something suitable for just this purpose. 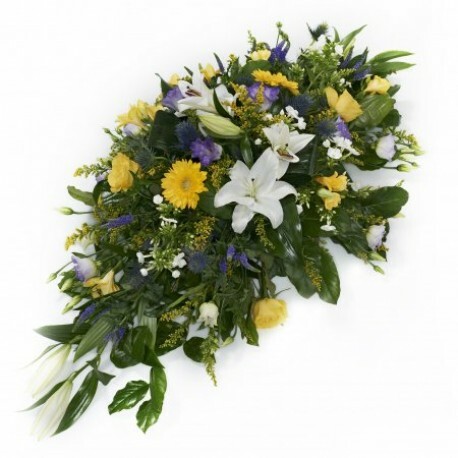 If you don't live close by and would like us to take an arrangement to a cemetery or churchyard we can do this, too.